In the night of Apr 18, 2011, at 4.30 a.m. the "Abeille Languedoc" was called to assist the water taxi "Moon" which had suffered water ingress between the islands Aix and Oléron. The “L’Abeille Languedoc” was first on scene and launched a zodiac with a dewatering pump. 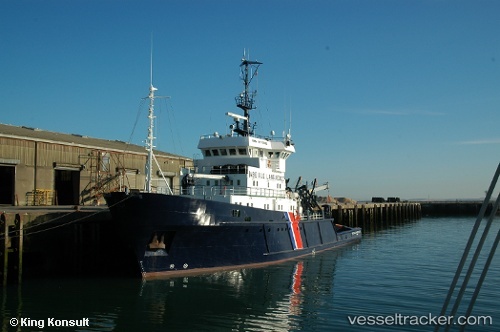 The pilot boat “L’Armerica” from Palisse saved the skipper of the “Moon”, and the SNSM-boat from Aix towed the casualty to La Rochelle where it was berthed at 6.30 a.m.